Now, in all truth and honesty, I’d have to say that it really depends. 1. What’s the reason you’re giving them the shakes? Are they for weight loss or general health? 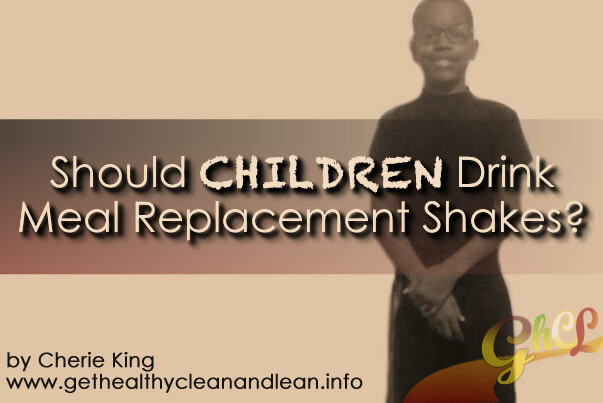 If they’re for weight loss, is a meal replacement shake plan the BEST option for your child at their age? Do your research & due diligence! 2. What’s in your shakes? Are the ingredients something you feel CONFIDENT feeding your child? Is there anything that he or she is allergic or has a sensitivity to? 3. What does your child’s doctor say? Now, I am NOT a physician, so I am NOT giving a “professional” recommendation here… just my own personal view & opinion as a fellow parent, and based on my personal experiences. Personally, I’m not so much about what the doctor says all the time because parents (again, myself included) give our kids a whole BUNCH of crap that we don’t go run and check with the doctor about. SIDE NOTE RANT: That’s what really burns my buns about when people first get introduced to health products, period… as I said before, we will consume & allow our children to consume soda pop, candy, chips, cookies, fast food, and not bat an eye. But I digress. I am going to give the “talk to your doctor” disclaimer here in order to keep my rear safe! And I believe that most meal replacement shake companies do the same in order to keep THEIR rears safe as well. Personally, I DO allow my youngest son (13 years old at the time of writing) to drink them. And no, he isn’t doing two shakes a day. He honestly isn’t even doing ONE shake… more like 1/4-1/2 of a packet because he gets really full off of it and he’s already typically not very hungry upon waking up at 6:00 a.m.
Oh no, no, NO you don’t! You’ve got to eat SOME-thing! So most mornings, instead of eating cereal, he requests having a shake – he loves how I make it with peanut butter and banana! In my opinion, it’s GOTTA be good for him since he’s getting his calcium, protein, and other important nutrients. I’m not sure if there are actual meal replacement shakes JUST for kids, but I feel pretty confident in giving him the ones I drink. And if you’re looking for a good, wholesome REAL MEAL shake for your child(ren) and even for yourself, I invite you to check out the shakes my son drinks. There should be nooo problem giving your child a healthy, wholesome meal replacement shake that has NO sugar, is dairy-soy-gluten-GMO-FREE, has 21 g of protein, 500 mg of calcium, probiotics and antioxidants. If your child does need to lose weight and you’re looking into doing shakes for that purpose; check with your child’s Pediatrician to make sure it’s okay for them to do a shake-based program. And again, use your own parental discretion & intuition. 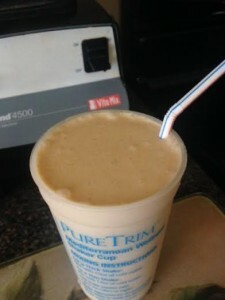 Can Protein Shakes Make You Sick And If So, Why?